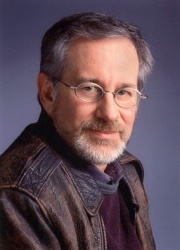 Perhaps the most famous director of his time, Spielberg's success has been unparalleled. Films such as Jaws, Jurassic Park, Raiders of the Lost Ark, and E.T. rank among the top moneymakers of all time. He has earned several Oscar noms, and took home the gold for Schindler's List and Saving Private Ryan.